Mark your calendars for the last Sunday in February and come enjoy a Chilly Buns ride around the valley. We’ll start at the traditional place, BiMart on Shaff Road in Stayton. 10 am to start, last bike out at 11. Route of just less than 100 miles. The end point will be the American Legion in Albany. 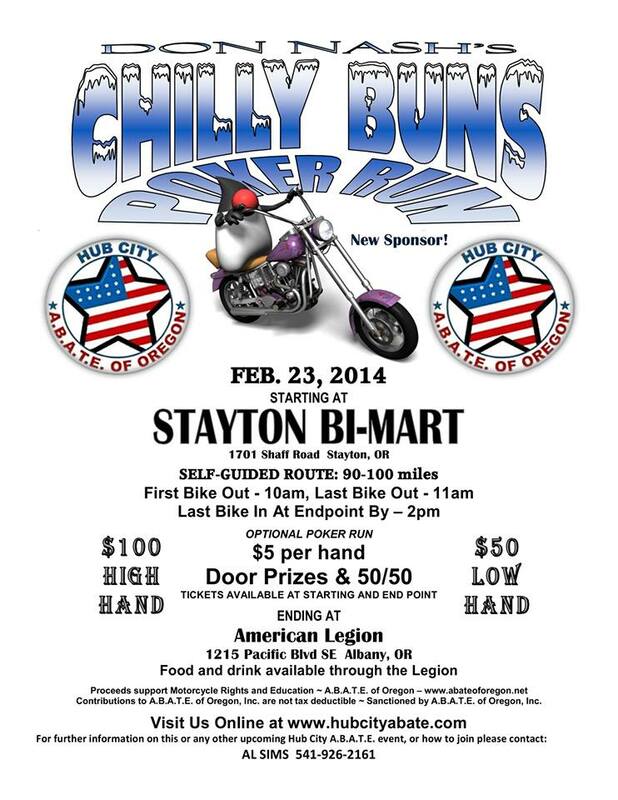 This year we’ll have a poker run style event to increase participation and safety. Come see us and let’s have some fun!